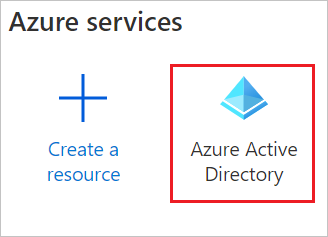 You can control in Azure AD who has access to Cisco Umbrella. 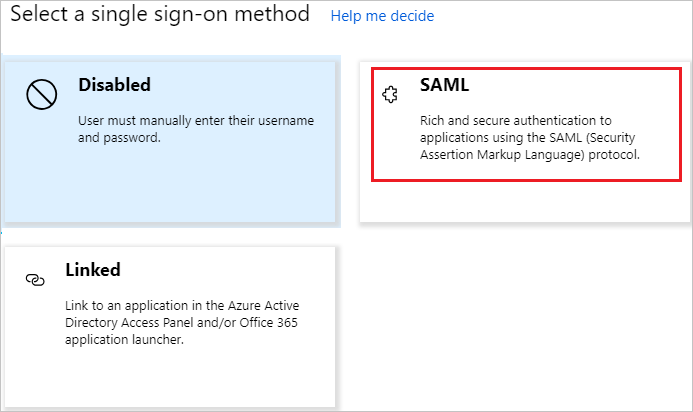 You can enable your users to be automatically signed-in to Cisco Umbrella (Single Sign-On) with their Azure AD accounts. 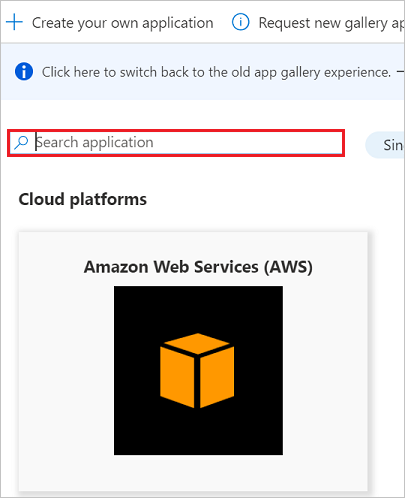 To configure the integration of Cisco Umbrella into Azure AD, you need to add Cisco Umbrella from the gallery to your list of managed SaaS apps. In the search box, type Cisco Umbrella, select Cisco Umbrella from result panel then click Add button to add the application. Configure Cisco Umbrella Single Sign-On - to configure the Single Sign-On settings on application side. Create Cisco Umbrella test user - to have a counterpart of Britta Simon in Cisco Umbrella that is linked to the Azure AD representation of user. 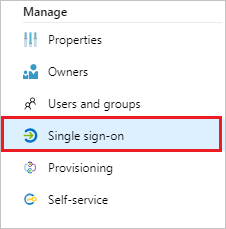 In the Azure portal, on the Cisco Umbrella application integration page, select Single sign-on. b. Click Set additional URLs. On the Set up Single Sign-On with SAML page, in the SAML Signing Certificate section, click Download to download the Metadata XML from the given options as per your requirement and save it on your computer. On the Set up Cisco Umbrella section, copy the appropriate URL(s) as per your requirement. In a different browser window, sign-on to your Cisco Umbrella company site as administrator. From the left side of menu, click Admin and navigate to Authentication and then click on SAML. Choose Other and click on NEXT. On the Cisco Umbrella Metadata, page, click NEXT. 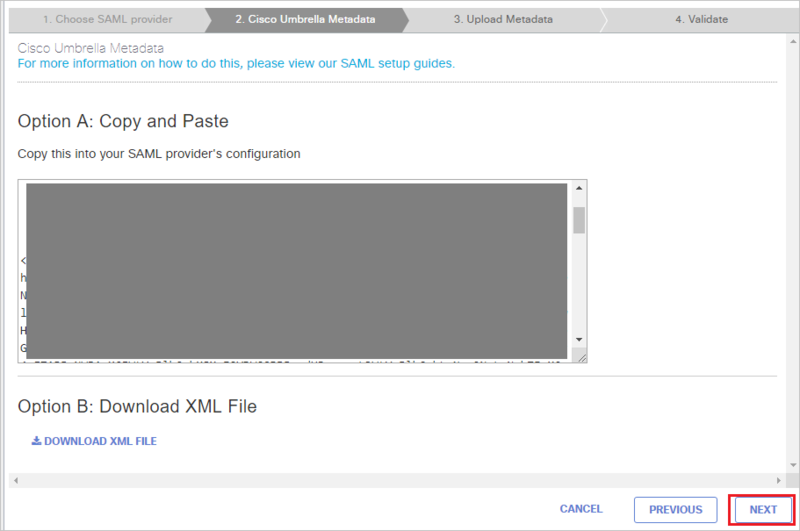 On the Upload Metadata tab, if you had pre-configured SAML, select Click here to change them option and follow the below steps. 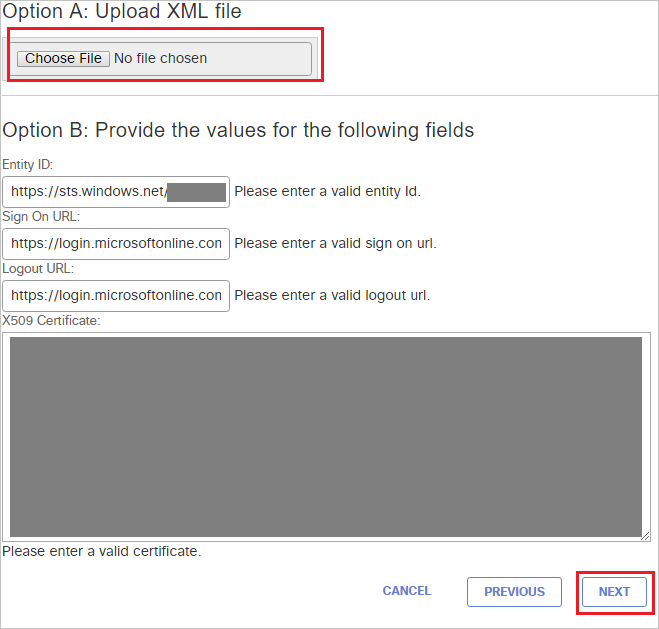 In the Option A: Upload XML file, upload the Federation Metadata XML file that you downloaded from the Azure portal and after uploading metadata the below values get auto populated automatically then click NEXT. Under Validate SAML Configuration section, click TEST YOUR SAML CONFIGURATION. 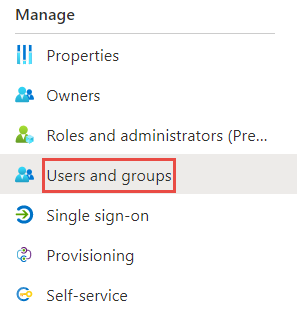 In this section, you enable Britta Simon to use Azure single sign-on by granting access to Cisco Umbrella. In the Azure portal, select Enterprise Applications, select All applications, then select Cisco Umbrella. In the applications list, type and select Cisco Umbrella. To enable Azure AD users to log in to Cisco Umbrella, they must be provisioned into Cisco Umbrella. In the case of Cisco Umbrella, provisioning is a manual task. 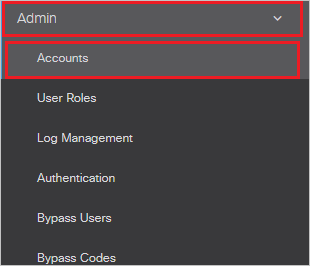 From the left side of menu, click Admin and navigate to Accounts. On the Accounts page, click on Add on the top right side of the page and perform the following steps. a. In the First Name field, enter the firstname like Britta. b. In the Last Name field, enter the lastname like simon. c. From the Choose Delegated Admin Role, select your role. d. In the Email Address field, enter the emailaddress of user like brittasimon@contoso.com. e. In the Password field, enter your password. f. In the Confirm Password field, re-enter your password. When you click the Cisco Umbrella tile in the Access Panel, you should be automatically signed in to the Cisco Umbrella for which you set up SSO. For more information about the Access Panel, see Introduction to the Access Panel.